A colourful and traditional gate at the entrance to the ABDK Soba venue in Dikki Bandi Staidum. File photo. 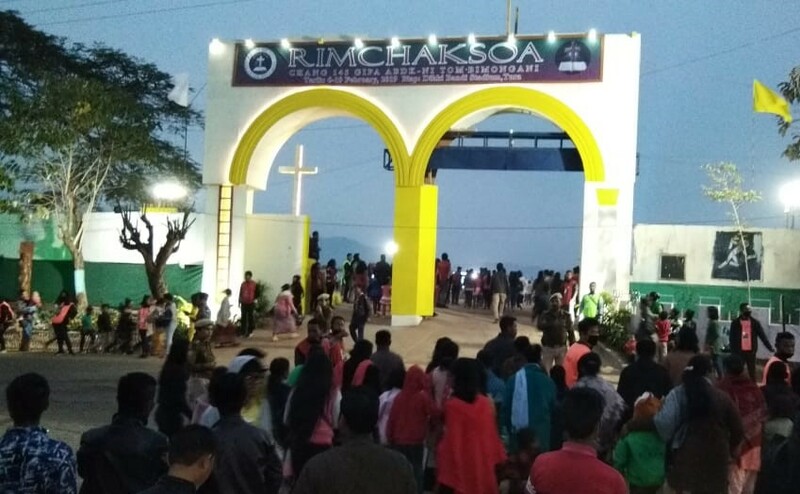 TURA: The A’chik Baptist Dal’gipa Krima (ABDK) on Thursday expressed appreciation to the citizens of Tura Town for extending support and cooperation during the 145th Annual ABDK Soba. “The massive cleaning drive and beautification of the town could not have happened without the active participation of residents who came out in large numbers irrespective of caste, creed or religion. Compliance with traffic regulations too, during the soba was commendable,” General Secretary of ABDK, Rev J R Sangma said. The ABDK statement further added that the show of unity was phenomenal and unprecedented boosting the image of Tura Town in the eyes of the world. It urged the people of the town to continue to maintain the same spirit of public cooperation and initiative to make Tura a happening place in the days to come.